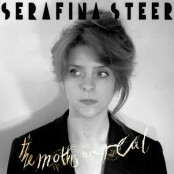 Serafina Steer releases her third album, the Jarvis Cocker produced ‘The Moths Are Real’ on January 14 th 2013.. Peckham born and raised, Serafina is a hugely talented and original harp playing multi instrumentalist and vocalist. 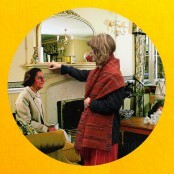 Previous albums, the debut ‘Cheap Demo Bad Science’ (2006) and ‘Change Is Good, Change Is Good’ (2010) were both well received, with MOJO awarding the latter 5/5 and Jarvis Cocker cited it as his favourite album of the year. 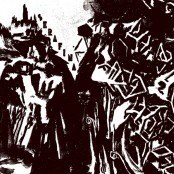 As a consequence he has produced the forthcoming album. 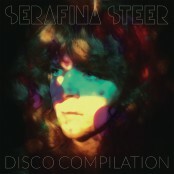 Over the past few years, Serafina has, as well as playing her own shows, also performed with Cocker and on the experimental folk side with Mike Lindsay and Tunng. Serafina is accompanied on the new album by Steve Mackey, Jarvis Cocker, The Boxettes, Polar Bear’s Seb Roachford and The Flying Lizards’ wizard David Cunningham and accompained live by Kristian Capitol K.
Recording took place at The Way Studios, Old Street, The Square in East London, Konk, Fish Factory and St.Leonards Church variously between December 2011 and June 2012. Serafina sounds like a keeper.